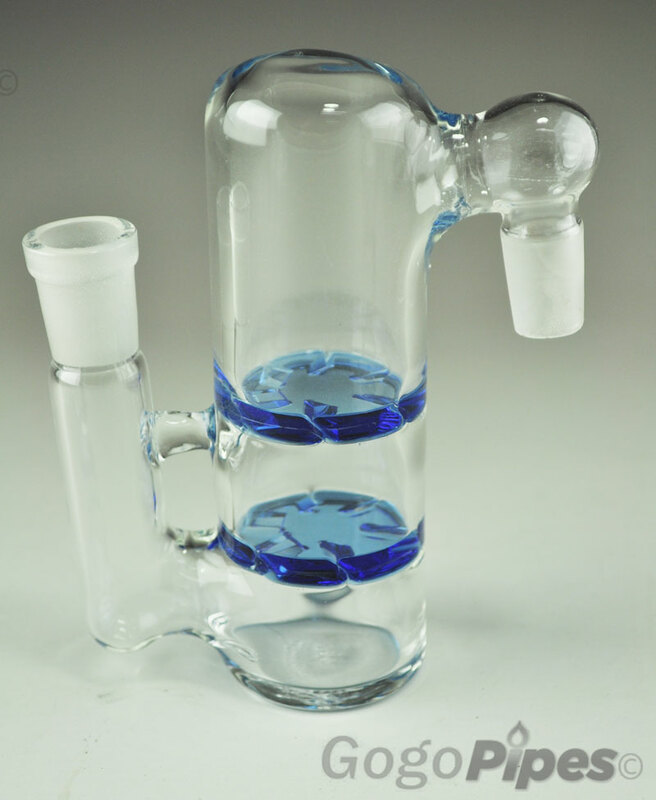 Get the precooler to add extra filtration to pipe with this Dual Turbine ashcatcher. This one has 14mm joint and fits and works with any pipe that uses 14mm bowl. 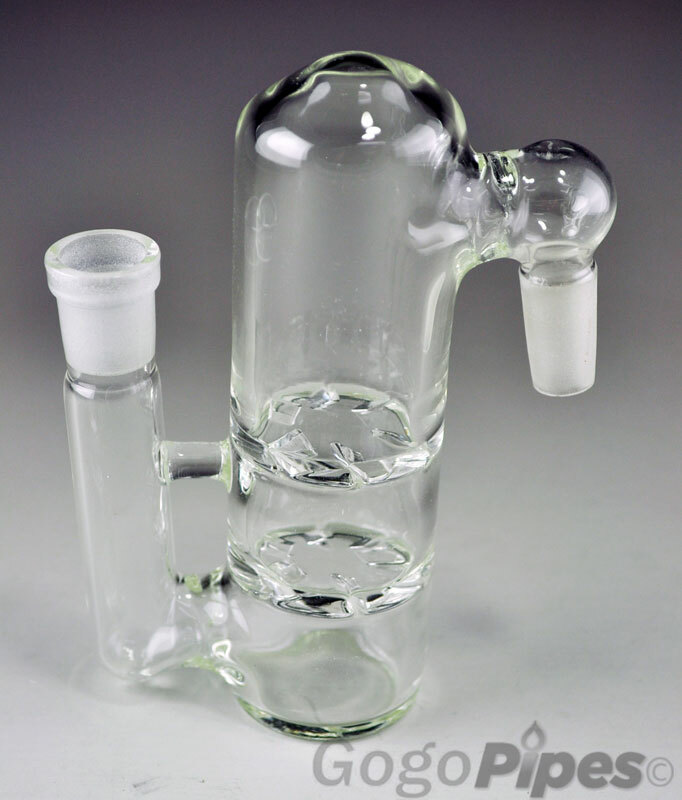 Here at GogoPipes with less effort and research you can get your favorite percolated product for low price. Pros: Good email feedback and timely delivery. Broken piece but are sending replacement with no hassle. Cons: My package was broken when I opened it up. Comments: I was pleased with gogo pipes, even though my package was broken. They were willing to send a replacement with no questions asked. Pros: At the moment I haven't had a chance to use it, but the glass itself looks thick and sturdy. The piece is actually quite large, height wise it's as big as a Pez dispenser so be prepared for that. The joints seem like they'll hold up well, so only time will tell. The product came to me faster than expected. Within the week I ordered it, and it was only the standard shipping. I'll update this review if anything changes. 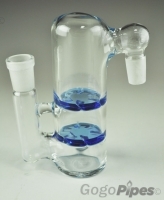 Cons: None so far, besides the fact that this ashcatcher looks funny. Comments: buy thiss shitt yo!